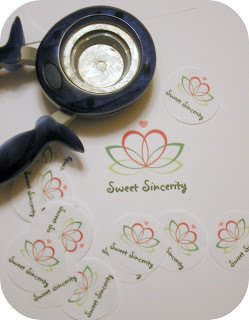 Sweet Sincerity: Sales Keep Coming! 24 and counting! 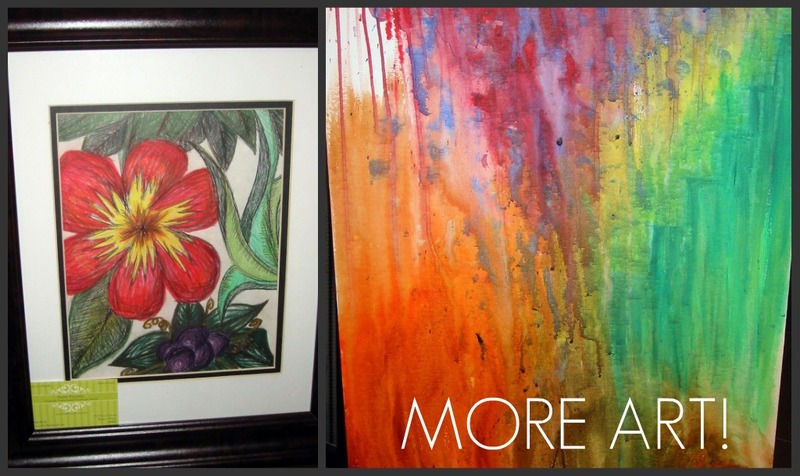 Sales Keep Coming! 24 and counting! He works so hard all the time, I wish he could just enjoy his vacation time without the constant feeling of icky. Life is so cruel... He hasn't been out in public much since he got sick, so he's had no reason (or the energy for that matter) to shave. He's starting to get a pretty thick beard...See! :) hehehehehe! LOL. 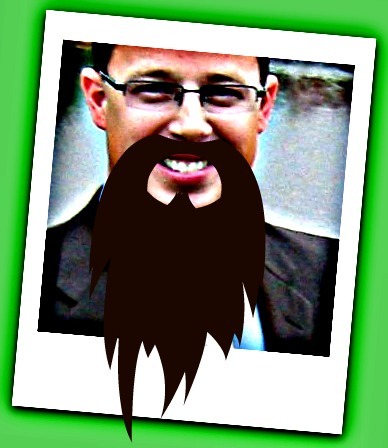 Man, I love photo editors! SO MUCH FUN! 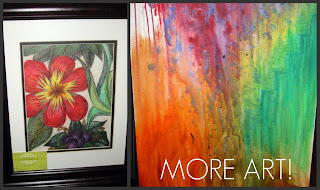 I think I am finally getting the hang of editing and adding pictures to my blog (yippee!) which was a previous chore that left me holding back curse words and questioning my own intelligence. :) Maybe Blogger, the host site, was just messing with me and testing my blogging resolve. ANYWAYS, instead of focusing on promoting today (which I did do a little of, but not a lot), I focused on figuring out how to MAKE MY OWN STICKERS! :) Cool, right!?! Most of my stickers and labels that I use to ship and package my jewelry, I have printed by a company and then shipped to me. These sticky labels look crisp, clean, and professional. I will continue to use a printing service for my more complex designs, but I was able to figure out a way for me to make my own label logo stickers today! I got sheets of sticker paper, bought a large, circular paper punch (my favorite NEW TOOL! ), and messed around with my computer until I got my logo the right size and clarity! PRESTO! I can make my own stickers! How cool is that!? Okay, I may be the only person to think that that is cool, but it's going to be very handy when I run out of stickers (which is ALL THE TIME!) and I don't have to worry about paying overnight shipping to get them to my house so I can fill orders. If I was, say-I don't know-NOT A HUGE PROCRASTINATOR, I would just order ample supplies ahead of time and always have a nice stock of labels. Being how that's NEVER GOING TO HAPPEN, I choose rather to be at one with my own dysfunction, and plan for ways that I can cover my bottom in case of the impending emergencies that I inevitably will bring upon myself . In other, totally unrelated news, check out this amazing new beauty product that I just discovered (for any men reading this blog, let me apologize in advance for this girlie talk). I always thought that the only way I could get a nice french pedicure was at a salon ($$$PRICEY$$$) because as hard as I tried, I just did not have a steady hand with nail polish! 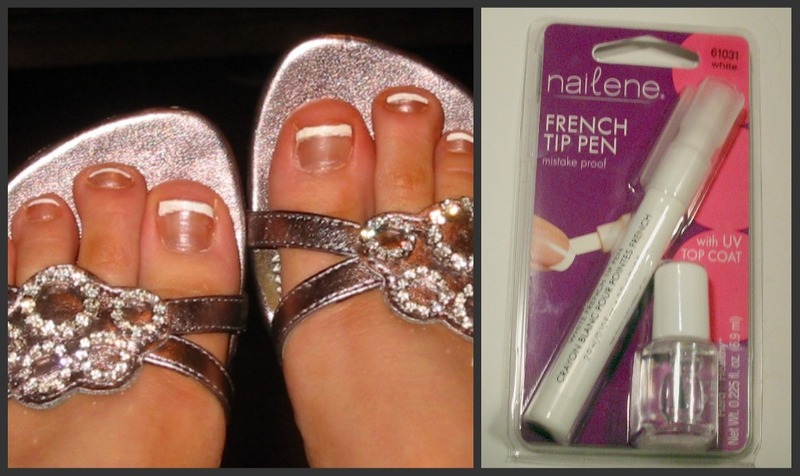 But look how cute my toes look after I used this french tip pen! I did that! No doubt you could even do a better job-It was super easy! And the set comes with a top coat too. I'm very happy with this find, because now, on the rare chance this winter that I take off my socks, I wont gasp in horror at the untamed stumps that I used to call my toes. Now, for further girlie talk (again, guys, I'm really sorry-Okay, who am I kidding, no guys read my pink girlie jewelry blog) you've gotta see the earrings I got a couple of days ago on Etsy, from hbjewelrydesign. I love them so much. I've been pretty much wearing them non-stop since I got them. I immediately got compliments on them from complete strangers when I was out shopping! They are so beautiful! 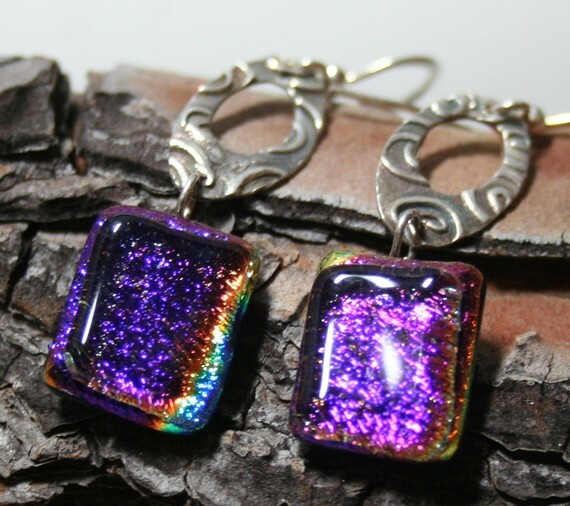 They are made from PMC (Precious Metal Clay- if you don't know what that is google it, it's stinkin' amazing) and dichroic glass. Very unique and shiny! Just my style! Her shop is filled with all kinds of similar yummies. Hopefully at some point when things slow down, I will be able to finish and list some of my new designs! 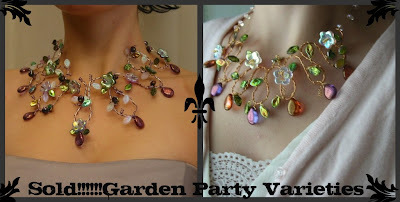 That's really what I enjoy most about having a jewelry business, just sitting down at my big desk that has drawers full of fascinating tools, glistening beads, and shiny metals, and coming up with some crazy, fun, beautiful, show-stopping design. I've got some great ideas a brewin' in this head of mine that want to see the glorious light of day. :) Check out what I got in the mail today, from nanasarah on Etsy. 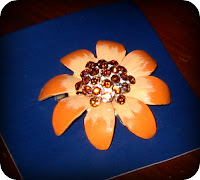 It's a beautiful vintage brooch that I am going to use as a pendant in an upcoming necklace. I am so excited about it! 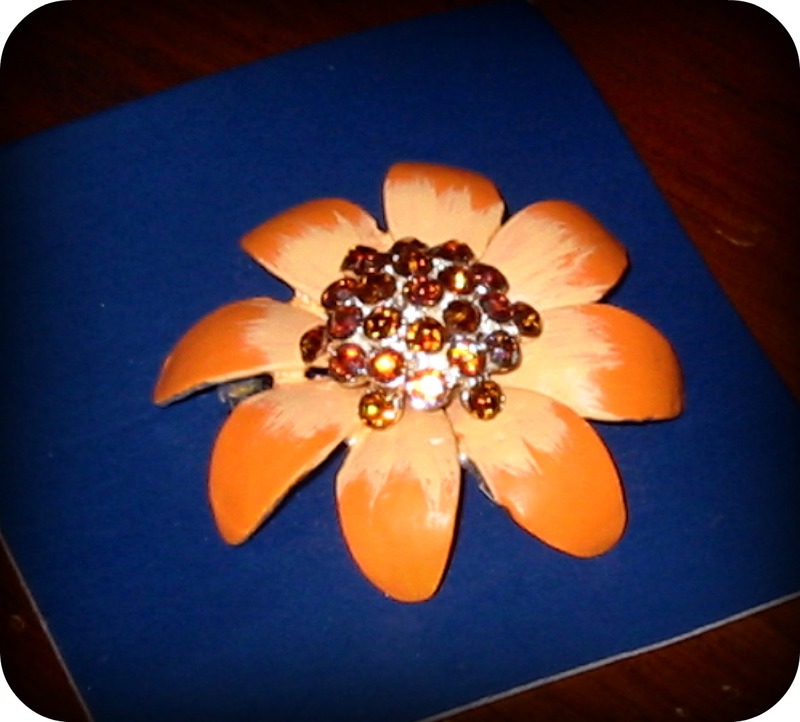 I have some more vintage brooches coming in the mail that I am going to use in my future designs too. Maybe it'll be a line about reinvention-what's old, made new! Bethany, Your Blog is Delightful. Thanks for the talk about my shop NanaSarah. I like this place and thanks for to share it with us. Awesome, I was thinking of making my own sticker! You inspired me to go for it! Thanks, your blog is lovely. Great blog! Hope your hubby feels better soon! I enjoyed reading your blog! Thank you for sharing it with our RED team. Your story is inspiring! You have beautiful jewelry! Nice blog. I keep wanting to give it a try but am not sure I would have enough to say.